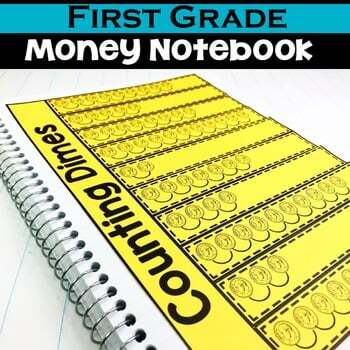 This Interactive Math Notebook is designed just for First Grade! 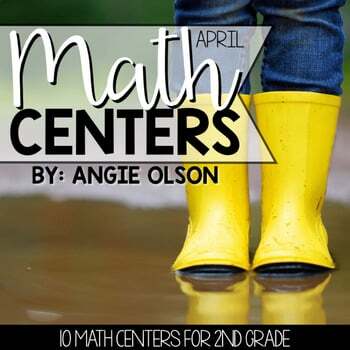 The activities can serve as a teaching point, review activity, or math skill intervention. 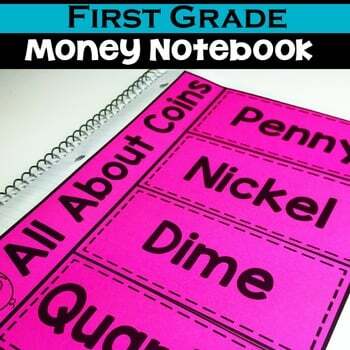 Each activity was created with the first grade student in mind. There are NOT a lot of tiny pieces or cumbersome assembly. Each page is easy to cut and assemble. Each activity comes with a photo of the activity assembled. 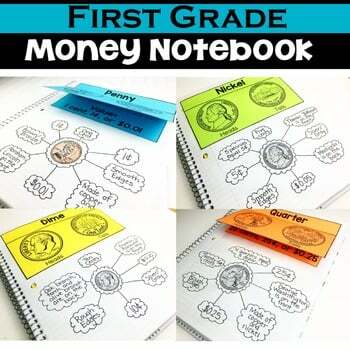 This notebook is a wonderful way for students to reference their learning from previous skills, a nice portfolio to show parents at conferences, and a great summary of math skills that have been learned throughout the year. You can download the preview to see all that is included in this pack. Thanks so much. If you want to learn more about Interactive Notebooks, how to organize them, how to assess them, how to store them, and more…please CLICK HERE FOR INTERACTIVE NOTEBOOKS INTERVIEW! 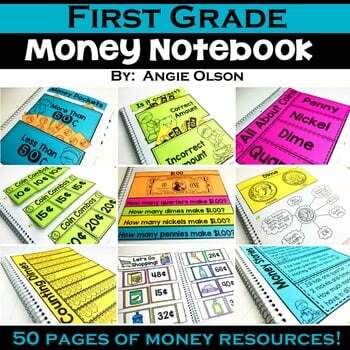 -Click here to see the preview for this notebook unit! 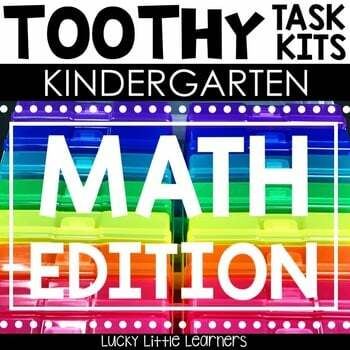 -Skills will include counting to 120, reading and writing numbers to 120, counting forward from any number and ten frames / twenty frames, 1 more 1 less, greater than, less than, and equal to, missing numbers, part part whole, number bonds, and decomposing numbers, base ten, tens and ones, expanded form, groups of ten, and values of digits. 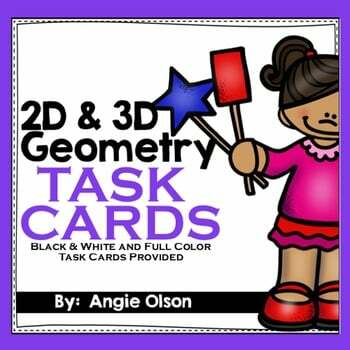 -Skills will include equal and unequal parts, partitioning shapes, identifying and writing fractions, 2D and 3D shapes, real world shapes, drawing shapes, determining shape characteristics (sides, corners, edges, vertices, and faces), composing and decomposing shapes, ways shapes move (slides, flips, and turns), congruent shapes, and symmetry.